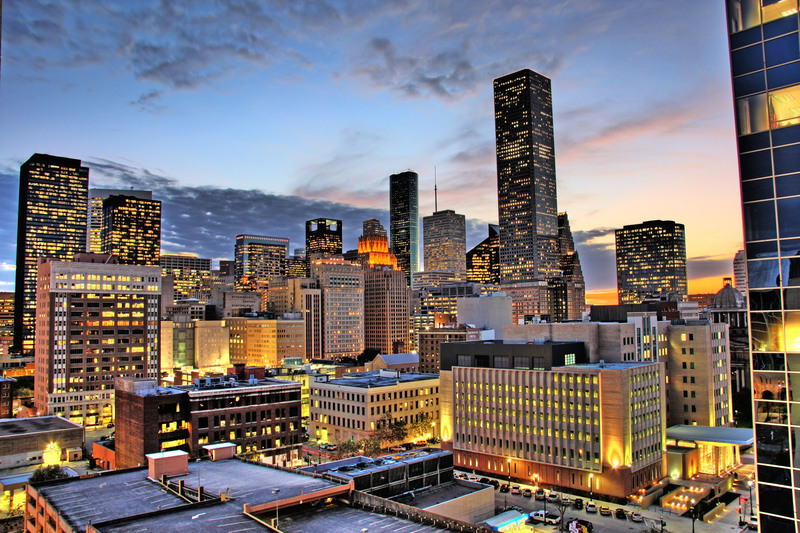 The TABPHE Houston Chapter is committed to serving members in the Houston, Katy, Missouri City, Sugarland, Spring/Cypress, Woodland, Deer Park, Pasadena, Galveston, Texas City, League City, and other surrounding Houston, Texas community through fundraising activities for student scholarships and faculty professional development. We believe that "Geography can no longer be an excuse for lack of participation." We are dedicated to utilizing 21st Century technologies to provide access and unique opportunities for professional development and networking. 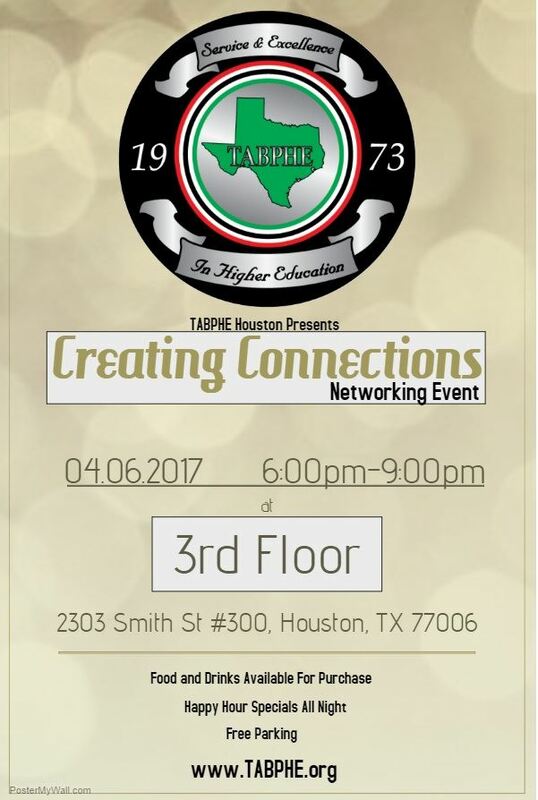 On Thursday, April 06, 2017, we openly invite all individuals working in higher education in Houston and the surrounding areas to 3rd Floor for drinks, eats, and to meet the members of TABPHE Houston. There will be food and drink available for purchase with Happy Hour specials for the entire event.